"It's just another fan in the peanut gallery with an opinion, which is meaningless." LaVar Ball was at least entertaining in 2017, but now in 2018, pretty much everyone agrees he’s flat-out annoying. 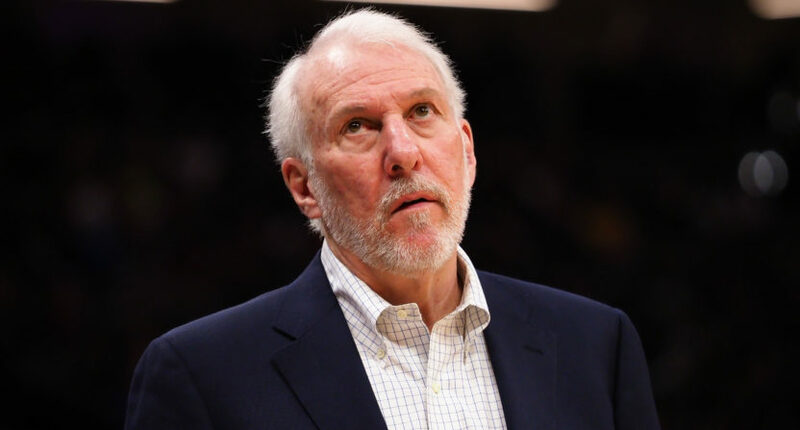 Unsurprisingly, San Antonio Spurs coach Gregg Popovich doesn’t care much for Ball, the father of Lakers rookie point guard Lonzo Ball. This past weekend, LaVar unleashed some harsh criticism of Lakers coach Luke Walton, positing Walton had lost control of the team and implying the Lakers should go in a new direction. While Walton hasn’t produced many wins with a young roster in his one year-plus with the Lakers, remember that he guided the Warriors to a 39-4 start while Steve Kerr was on medical leave during their record-setting 2015-16 season. “Whenever anyone says anything about another individual or about the quality of another individual, or what they’re doing, I think the first thing to look at is the substance and gravitas of the source that speaks. Just stopping at that point would tell you that you don’t need to listen or go any further. It’s just another fan in the peanut gallery with an opinion, which is meaningless. “Luke [Walton] has been schooled in this game from the time he was a little kid. And he doesn’t even know what he knows probably, just by osmosis, whether it was living at home, [or] in school as a player. He’s had tremendous experience. As a player, he wasn’t the best athlete in the world. But those are the guys that sometimes understand the game better because it comes a little tougher to them. They understand what wins and loses, what they have to do to get an advantage and really understand the game, which he does. He inherently understands the game, and not everybody does. And then the icing on the cake, he gets to spend a few years up with Steve [Kerr] at Golden State with a great organization, and a great group. Add this to the long list of Popisms. Unfortunately, as long as Lonzo is in the NBA, which for his sake will hopefully be a very long time, we’ll probably have to deal with LaVar Ball to some extent. But it’s true — he’s just another brash fan.